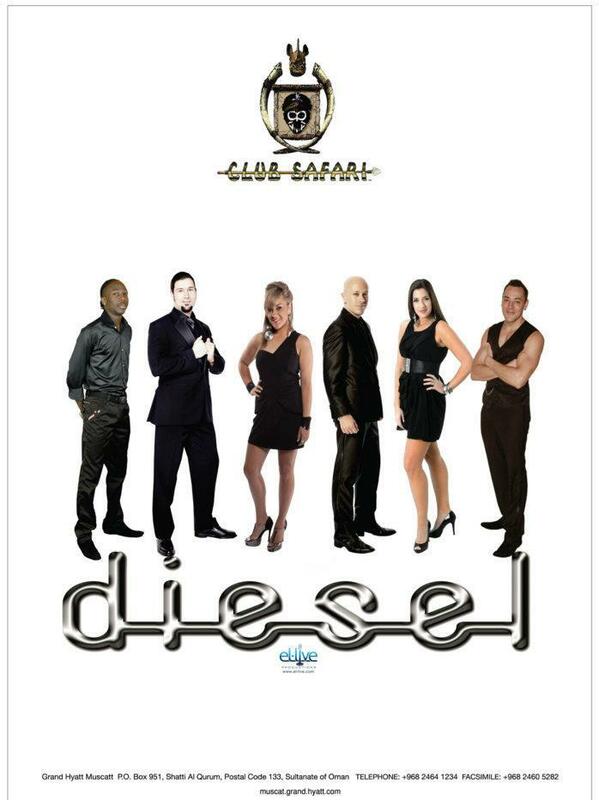 Starting off on Wednesday evening, there is the new band at the Safari bar, Diesel, who will be playing from 9:30 till late. Initial reports are they are pretty good, I'm sure it'll be good to see them. 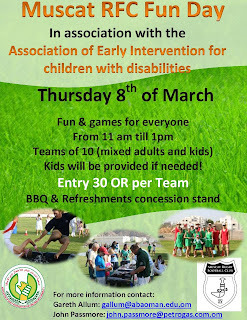 On Thursday in the day, there is the annual Muscat RFC Fun Day, where you can join Muscat RFC in association with the Association of Early Intervention for children with disabilities on the 8th of March 2012, lots of fun and games for the entire family!!! For more information about it, check out the Facebook event page. Moving on to Thursday evening, the only thing worth mentioning is the 19th Annual Canadian Stampede party at the Ras Al Hamra club, Qurum. 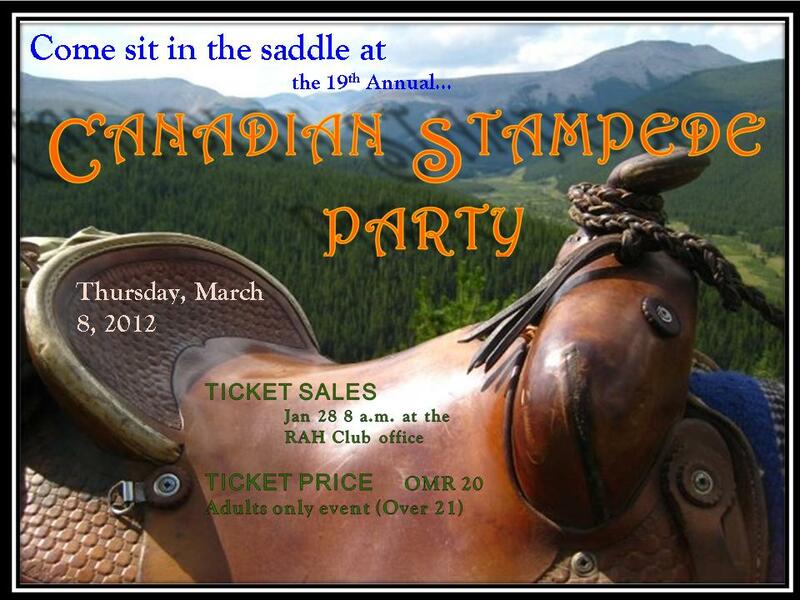 Tickets are totally sold out and you've either got one, or you are going to miss the best party of the year. 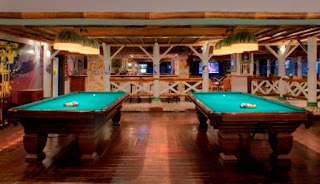 This year there is Canadian beer, Moosehead, specially imported for the event, along with local Canadian DJ, Marcus Monopoli from Hi FM, thousands and thousands of rials of prizes to be won and perhaps more importantly, an all new Shooter menu for the world famous Golden Garter Saloon. 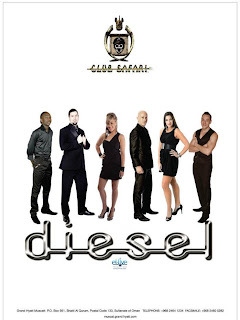 It is the best party of the year - see you there! 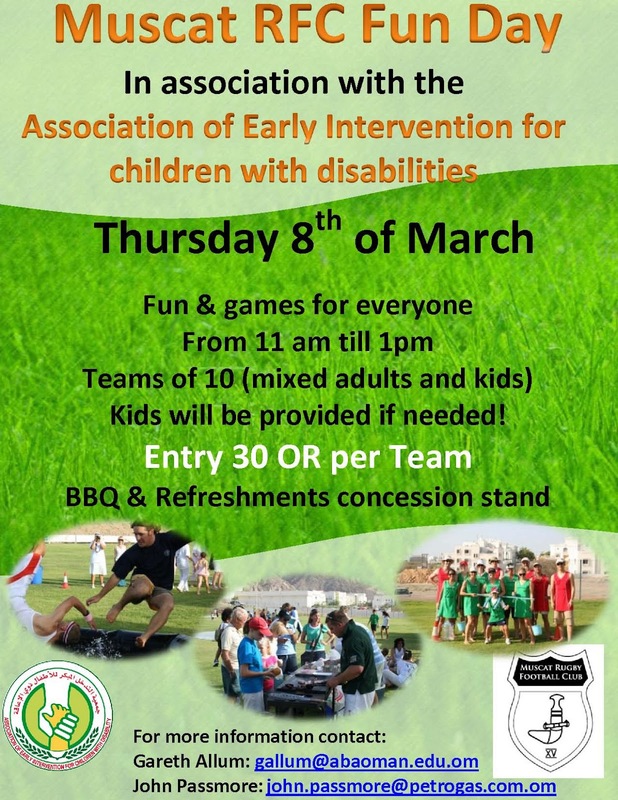 Then, on Friday there is the final competitive rugby game of the season against Doha RFC at home at the ABA / MRFC rugby ground in Al Khuwair at 3pm. Come down and support the local team in what is the last game of a very strong season from MRFC.As usual, post match celebrations will be held at the Habana Bar at the Hyatt.